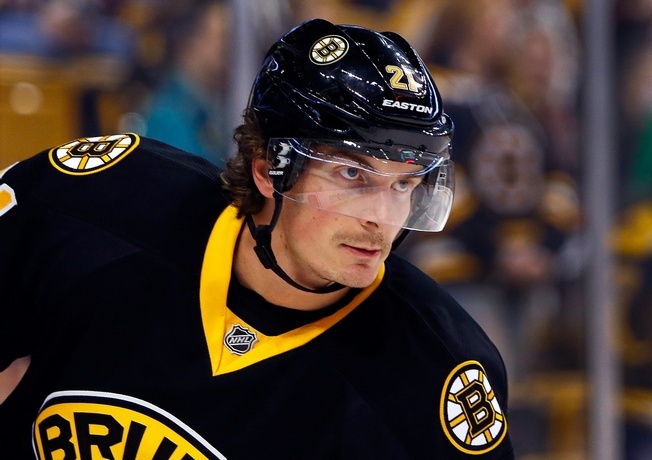 The Vancouver Canucks have signed forward Loui Eriksson to a six-year contract worth a reported $36 million. The 30-year-old Swede joins the Canucks after three seasons with the Boston Bruins and an extensive career with the Dallas Stars. Indeed, it is exciting to consider a player like Eriksson with Daniel and Henrik Sedin. The Canucks have been struggling to find the right combination with the twins since the West Coast Express era, with only intermittently successful combinations. Vancouver also struggled with offence, scoring just 182 goals last season – the second fewest in the NHL. They had just two 20-goals scorers (Daniel Sedin and Jannik Hansen) and only the Sedin twins eclipsed 50 points. Eriksson’s best NHL season came with the Stars in 2010-2011, when he posted 73 points in 79 games – including 27 goals. He’s passed 20 goals in six seasons and potted 36 goals with the Stars in the 2008-2009 season. Last season, he scored 30 goals with the Bruins. Eriksson’s offensive instincts should give the Sedins more options, as he’s got an accurate shot and can slip into tight areas. He’s a quality playmaker, too, and plays a solid defensive game.